This week PBS is airing a new six-part documentary called “God in America.” I missed the first two parts last night because for some odd reason I wanted to watch Brett Favre throw more interceptions. The final two parts air tomorrow night, same times. I will definitely watch the whole series when it reruns or become available through Netflix, Hulu, etc. Friends of mine who teach American history are already using the series as an assignment for their students, and my Duke mentor Grant Wacker was an advisor for the series, so I expect good things. Stay for the storytelling, most of all for the second installment, which tells of Abraham Lincoln (Chris Sarandon), who like many presidents, was not a conventionally religious man and was skeptical of his parents’ church. But he lived through the most terrible conflict in the nation’s history, more than 600,000 dead, with both sides deeply convinced that God was on their side. Lincoln came to see the war as a divine trial for a nation guilty of the sin of slavery, a conviction that moved him to issue the Emancipation Proclamation, acting against all good advice by his Cabinet. Stay, too, for the third night, when the nation’s still incomplete civil rights battle is played out, led by evangelical Christian leaders and fought by evangelical Christian leaders. And there is a good retelling of the rise of Billy Graham, who made himself chaplain to presidents and tried to secretly scuttle JFK’s chances at the White House. This sprawling six hours tells an American story, our story, no matter where we come from or where we are heading. You need to know it. Using dramatic re-enactments, interviews with prominent religion scholars, documentary footage, and photographs, God in America goes on to look at how religious belief shaped the origins of the Civil War and President Abraham Lincoln’s actions. Later on, Rabbi Isaac Meyer Wise advocated a new reform Judaism that adopted ancient traditions to modern American culture. The battle over modernity peaked in the 1925 trial of John Scopes, a Dayton, Tennessee teacher arrested for teaching evolution. In the post-war era, at the same time the Supreme Court handed down controversial decisions that required government actions to have secular purposes, new religious energy fueled the Cold War fight against “Godless Communism” and energised the Civil Rights movement. The series ends with an exploration of the political aspirations of the religious right and the re-emergence of a religious voice in the Democratic Party. God in America is a meticulous, thoughtful, and provocative production. It is a must-see for anyone who wants to understand the motivations and actions behind America’s relentless quest for religious freedom that began almost 400 years ago. Covering 400 years of the history of religion in America in a mere six hours would be next to impossible, and the documentary doesn’t pretend to accomplish that. Instead of being a decade-by-decade retelling of religion in the U.S, it provides highlights and sticks with each topic for 10-15 minutes apiece. In the first episode, for example, the story of the Puritans and Anne Hutchinson is followed by the story of George Whitefield, which is followed by the story of Baptist pastor Jeremiah Moore, which is followed by the story of the Cane Ridge Revival. In the span of 90 minutes, you’ve covered 150 years. The segment about Moore alone makes it worth watching the first night’s episode, particularly if you’re a Baptist or a lover of religious freedom. Moore was a Baptist pastor from Virginia who, in 1773, was arrested and thrown in jail. His crime? Preaching without a license. 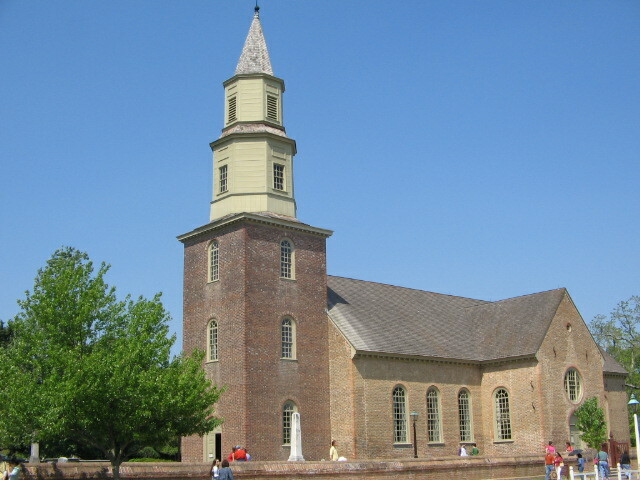 In colonial America, Virginians paid taxes to support the Anglican Church. Moore was only one of many Baptists who refused to get a license and was arrested. The documentary tells how Moore and other Baptists found an advocate in Thomas Jefferson, who — despite rejecting Christ’s resurrection and the biblical miracles — believed the Baptists should have the liberty to believe and preach as they wish. As a member of the Virginia House of Delegates, Jefferson sponsored a bill that ended state-sponsored religion and gave freedom to all faiths. Over the objections of Patrick Henry, it passed, and it provided a model for the U.S. Constitution’s First Amendment granting religious freedom. This entry was posted in Uncategorized and tagged Abraham Lincoln, American Christianity, American religion, Baptists, Church-State Relations, Civil War, Emancipation Proclamation. Bookmark the permalink.